Neuchâtel Junior College is a Canadian independent school located in the town of Neuchâtel, Switzerland. Each year, students from across Canada, the USA and beyond, step outside of their comfort zones at NJC. Offering exclusively the final year of high school, North American curriculum, and an immersive cultural experience, NJC is the only school of its kind in the world. Students study Grade 12 university-preparatory courses, instructed in English, while living in the French-speaking town of Neuchâtel. Approximately 75 students are enrolled each year, all of whom are preparing for university admission to a wide array of programs from Engineering to the Humanities. They do so while living as Europeans in one of the safest, most organized and idyllic countries on the planet. On the weekends, students explore the great destinations of Europe while learning about the past, the present and themselves. I left routine and replaced it with wordliness and spontaneity. This school has opened my eyes to what life is and what I should work for. Life is a wonderful gamble that you have to jump into with both feet. Stepping outside of their comfort zones teaches these young men and women to adapt to unfamiliar situations and acts as a catalyst for positive change. In their 2009 paper published in the Journal of Personality and Social Psychology, “Cultural borders and mental barriers: the relationship between living abroad and creativity,” Professors Maddux and Galinsky outline a scientific correlation supporting what NJC has witnessed year after year: immersive cultural experiences produce creative and innovative individuals. The tradition of students living with local Swiss families has proven to be one of the most transformational and cherished aspects of the year spent abroad, and it dates back to NJC’s founding year in 1956. 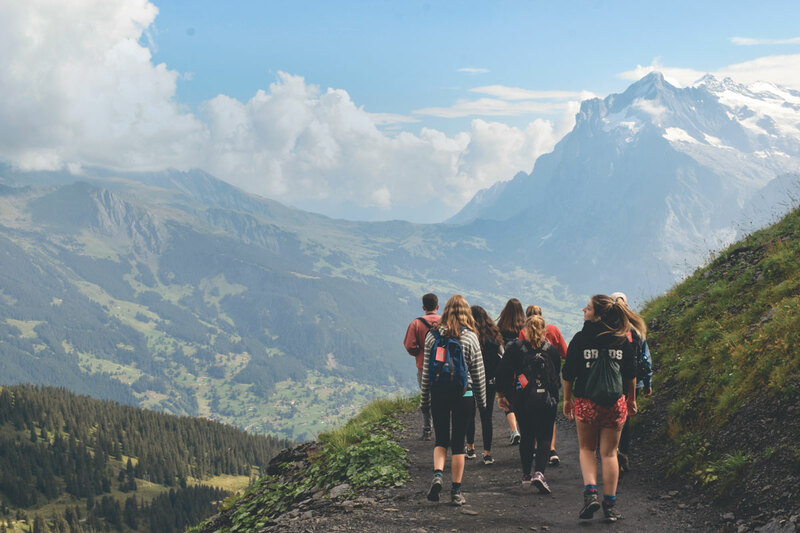 Students integrate into Swiss culture and daily life while learning French through interaction with their host families and the local community. Switzerland is one of the best places in which to learn French, given the beauty and clarity of the Swiss-French accent. French courses to support language development are either credit or non-credit depending on students’ university plans and abilities. The only pre-requisite is the willingness to learn! There is a new measure of independence gradually extended to our students, but all within the care of a small, watchful community of educators and host families. Students are treated as the young adults that they are becoming to prepare them for the freedoms, challenges and expectations that university life will soon present. The more of the world we see, the bigger and more awe-inspiring it becomes. Around every corner is a lesson to be learned, an adventure to be had or an experience to change a life. 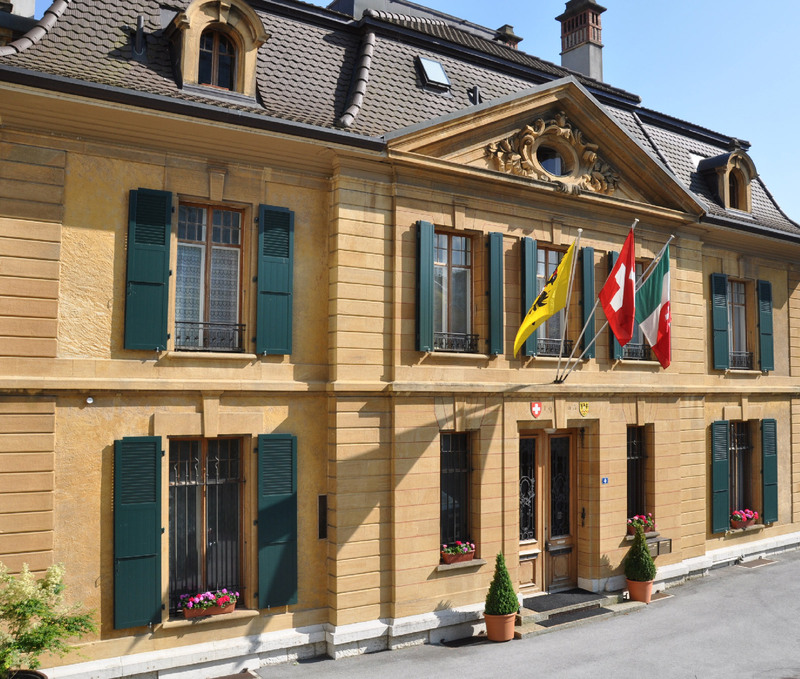 Neuchâtel Junior College has over 5,000 alumni worldwide. Students have consistently evolved into confident, independent leaders who have the courage to live their lives in extraordinary ways. Among NJC’s notable alumni is Chairman of Globalive Capital, Anthony Lacavera ’93, who recently authored How We Can Win: And What Happens to Us and Our Country If We Don’t. Well-known social entrepreneur, Marc Kielburger ’95 is an alumnus who is co-founder of a family of organizations dedicated to the power of WE, a movement of people coming together to change the world. All NJC graduates step outside of their comfort zones at an early age, thereby amplifying their opportunities exponentially over a lifetime.